The 10-day event starts Thursday, and most of the 2016 hopefuls will pass through, pausing to chomp on deep-fried snack foods, visit with locals out for a day of fun and spend some time on the political soapbox to talk with voters. If all goes well, the fair provides an opportunity for a candidate to have candid interaction with voters and shows off a side of him or her not often seen on TV. People fondly remember Barack Obama’s ride on the bumper cars with his family in 2007. 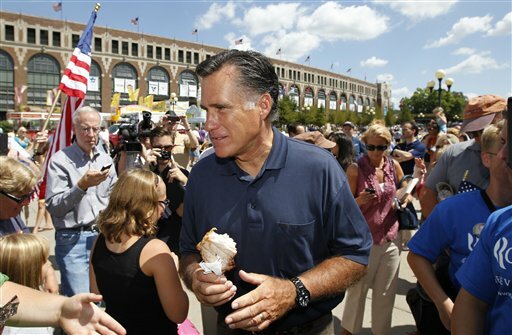 Consider the case of Mitt Romney, who during the last campaign said atop The Des Moines Register’s soapbox: “Corporations are people, my friend.” The comment dogged Romney, the former private equity executive, for the rest of his campaign.